The components of this high quality formulation have been shown in numerous studies to significantly strengthen the immune response. A robust immune system helps overcome disease and promotes optimal health. Immune 7® is a potent—yet safe—dietary supplement that may be used alone, or in combination with mainstream treatments. Immune 7® is one of the most comprehensive immunomodulating formulas available today. Our strictly controlled organic methods of mushroom cultivation ensure that our products are of the highest possible quality. The end result requires no irradiation, is always GMO-free, and far exceeds the original potency. 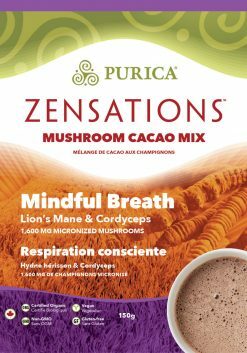 Micronization improves the potency by five to ten times by unlocking active compounds from the indigestible fibrous structure. 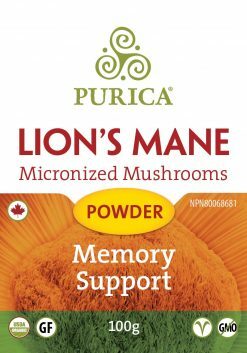 Each capsule contains 325 mg of Immune Assist,™ composed of organic extracts and micronized organic full spectrum mycelia and fruiting bodies of the following mushrooms. Cultured on organic plant materials in a pure environment to maximize polysaccharide content and absorbability. Nutricol® Proprietary plant complex containing EGCG, OPC’s, theaflavin and resveratrol from green tea and grape. Organic, full spectrum mushrooms, micronized for superior absorption and assimilation. Cultivated in a quality-controlled facility using only organic plant materials for the fuel source. Non-medicinal ingredients: calcium phosphate dibasic, microcrystalline-cellulose, hypromellose. Take 1 to 3 capsules per day for immune use or as recommended by a healthcare professional. Take with food. Source of antioxidants for the maintenance of good health. 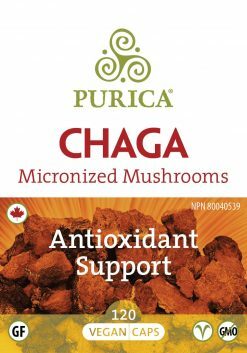 Source of fungal polysaccharides with immunomodulating properties. Consult a health care practitioner before using this product if you have a liver disorder; if you are pregnant or breastfeeding; if you have an iron deficiency; if you suffer from an immune system disorder (e.g. Crohn’s disease, myasthenia gravis, multiple sclerosis, rheumatoid arthritis, systemic lupus erythematosus, HIV/AIDS, etc.) or are taking immunosuppressants. Discontinue use and consult a healthcare practitioner if you develop symptoms of liver trouble (such as abdominal pain, dark urine or jaundice) or if you develop a rash, abdominal cramping, loose stools, mouth ulcers or fever. 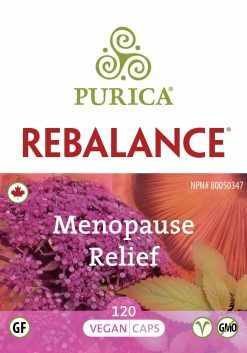 Use with caution if you are taking medication to treat diabetes. Store in a cool dry place, away from children. Do not use if safety seal is broken. Immune 7® provides superior support for the immune system. It may be used proactively, or to assist a suppressed immune response. Containing beta glucans and other mushroom compounds known to be highly effective in activating immunity, Immune 7®’s high bio-availability makes it the gold standard of mushroom therapy. nicotinic acid (vitamin B3/niacin), riboflavin (vitamin B2), pyridoxine (vitamin B6), and vitamins C, E and K.
germanium and selenium, which increase the efficiency of oxygen, counteract the effects of pollutants, and increase resistance to disease. A vast number of independent studies have shown the medicinal mushrooms present in Immune 7® to stimulate a variety of immune cells, thus providing the user with the best possible support for a weak immune response. Who can benefit from Immune 7®? I am undergoing medical treatment. 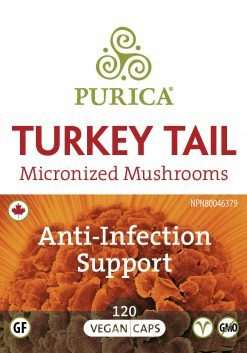 Recent research has clearly demonstrated that the combination of extracts and whole mycelia and fruiting bodies found in Immune 7® measurably reduces the adverse effects of aggressive traditional treatments for significant diseases. These adverse effects include loss of energy and appetite, as well as nausea. I have no disease conditions. Can I benefit from Immune 7® ? Nutricol® constituents have been clinically observed to possess health-promoting properties in the liver, lung, breast, pancreas, bladder, prostate, skin and most of the gastrointestinal system (Fujiki. 1999, J. Cancer Res Clin Oncol. 125:589-97). How are optimal levels of Beta-3 Glucans attained? 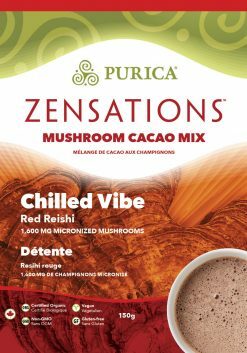 The whole mushroom complexes utilized by PURICA are grown on organic plant sources and are naturally hybridized to produce significantly higher levels of immune-enhancing polysaccharides. Are there any negative side effects with Immune 7® ? Some individuals may experience an initial upset stomach or loose stool. This usually passes within a few days. You can either combine with food or divide your daily doses to reduce these side effects. 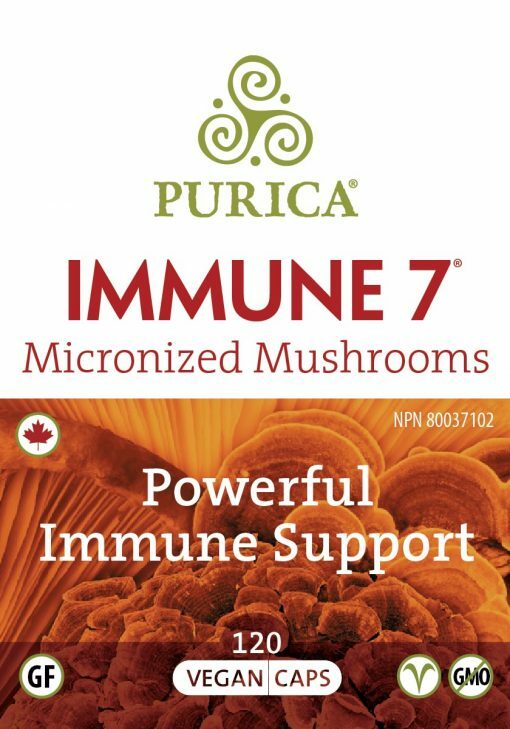 Why are there so many mushrooms in Immune 7® ? Each mushroom has its very own distinct biochemistry. 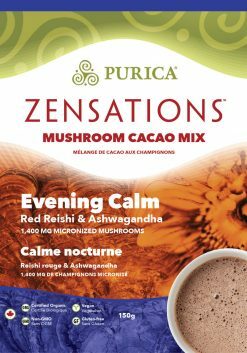 By consuming a concentrated dose of several potent mushrooms, the chances of successful nutritional therapy are enhanced. The primary function of mushroom therapy is to stimulate the production of immune cells to a) protect against foreign invaders and b) protect us from our own aberrant cells. The tangible benefits should be evident in the first 1-4 weeks. I have allergies to mushrooms. Is it safe for me to take Immune 7®? Immune 7® is safe for those with allergies to mushrooms, mould and fungus. 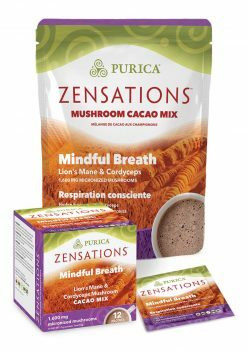 Because our mushrooms are cultivated in a lab, they are free from cross-contamination and exposure to air and soilborne microbes. These allergy-causing microbes typically lodge in the rib-like understructures of the fruiting body of wild mushrooms. 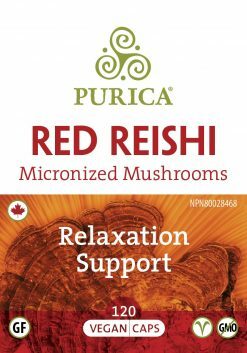 Our lab-grown mushrooms are grown in a pristine environment, therefore there is no need for irradiation to minimize the presence of contaminating organisms.